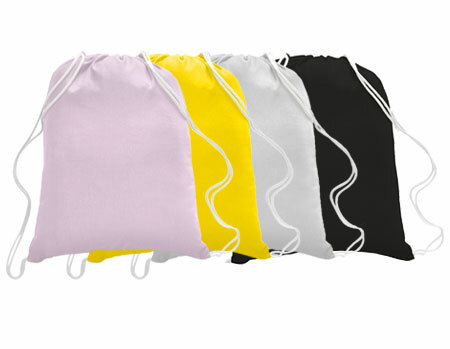 Home > BLANK TOTE BAGS: Many Colors & Styles - IN STOCK! > Cotton Sports Pack 14"x18"
Cotton Sports Pack with strong draw string cords: Fabric (6oz). 14"x18"
These canvas tote bags are ideal for our digital heat transfers! Keep in mind that some tote bags on the market have a chemical coating that can interfere with the application of digital heat transfers. Our bags will work great with any of our Digital Heat Transfers! Note: These bags will not work with sublimation inks! See our "Dye Sub Printables" page on left side navagation for all sublimation blanks.